Cambridge Enterprise is responsible for the commercialisation of University intellectual property. Activities include management and licensing of intellectual property and patents, proof of concept funding and support for University staff and research groups wishing to provide expert advice or facilities to public and private sector organisations. STFC Impact Acceleration Account (IAA) via Cambridge Entreprise supports STFC-funded academics to take their ideas towards commercialisation. For more information please see here. Eagle Labs are a community resource available for everybody. Whether you’re an inventor, an innovator or a mentor, our spaces are conducive to nurturing and growing your idea with support from Barclays and our network. From accelerating UK business to enabling collaborative innovation and digital empowerment for all, our Eagle Labs are a space to create, innovate and grow. Cambridge is the home of innovation, so it feels right that our flagship incubator is based here. A community of pioneers and innovators across a variety of sectors. Cambridge incubator actively supports the Cambridge ecosystem of entrepreneurs. The Electrical Engineering Division covers all aspects of electrical engineering from the nano-scale to heavy-duty power applications. Professor Sir Mark Welland is the Divisional Head. Photonics is an active and growing area of research with three groups investigating different aspects of photonics, applications, and materials whilst collaborating with each other and a variety of industrial partners. The Solid State Electronics and Nanoscale Science group conducts research in large area electronic materials and high-power semiconductor devices, carbon nanotubes, and semiconducting nanowires. Entrepreneurial Postdocs of Cambridge (EPOC) maximise the entrepreneurial and business potential of Cambridge’s world-leading research community. EPOC is an outward looking organisation, representing the interests of the research community within the ecosystem and promoting the region’s research excellence to the broader corporate world. Internally, we develop and deliver initiatives to support Cambridge researchers in their pursuit of business and entrepreneurial ventures, and to awaken them to the multitude of opportunities around them. EPSRC Impact Acceleration Account (EPSRC IAA) has awarded the University an Impact Acceleration Account (IAA), to promote wider and more effective engagement with the impact agenda. The Account provides the University with resources to deliver impact and work on the exploitation of outcomes from its EPSRC research portfolio, with the key objective of shortening the time to impact. The IAA brings together a number of previous initiatives to provide more flexibility, including early stage commercialisation, developing new partnerships and reaching out to researchers who do not normally engage in commercialisation activities. 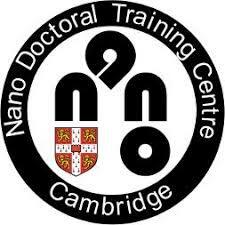 EPSRC CDT in Nanoscience and Nanotechnologys (NanoDTC) is a centre for doctoral training at Cambridge University. It aims to produce a new sort of PhD student, trained over 4 years in many advanced Nano techniques, innovation and business practice, as well as novel science. They emphasise cross-disciplinary training in the Physical Sciences, including Chemistry, Physics, Materials and Engineering. 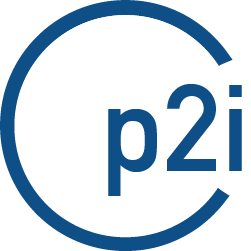 Postdocs to innovators (p2i) is a joint initiative between five leading Higher Education Institutes (HEI) and four global enterprises to support and strengthen the innovation mindset in postdoctoral researchers and encourage not just entrepreneurial activities but a broad approach to any endeavor both in and outside academia. Quantum Technology Enterprise Centre (QTEC) is a world-leading incubator for quantum-based technology innovators, its vision is to educate and create the quantum entrepreneurs of the future who will be the foundation, pillars, and growth of the UK’s Quantum Industry. Its mission is to develop the thought leaders and entrepreneurs who will take quantum technologies out of the lab and into the real world.